I use snippets a lot in Alfred 3, and I badly need a quicker way to edit existing snippets. They're so awesome! 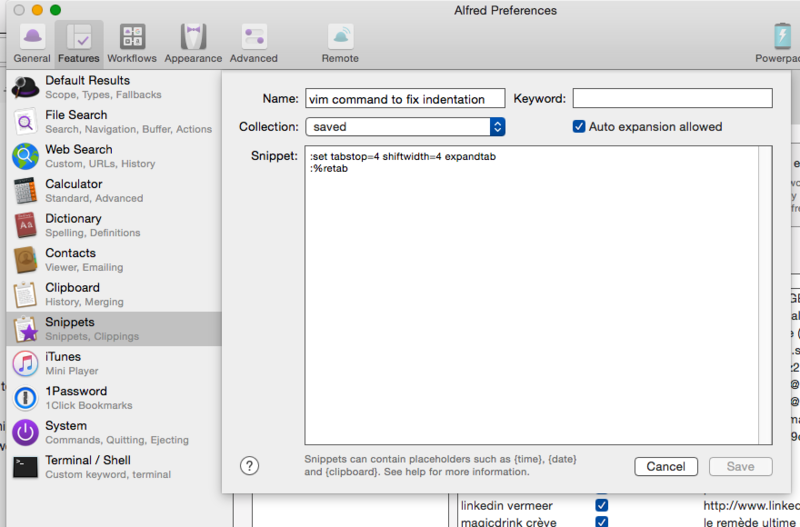 Please see 1st screenshot: if Cmd+S on selected snippet would open it directly (2nd screenshot) within Alfred preferences, that would be a simple but fantastic improvement! I'm suggesting Cmd+S for this because it is very similar to the already existing Cmd+S shortcut which transforms a clipping from clipboard history into a new snippet. 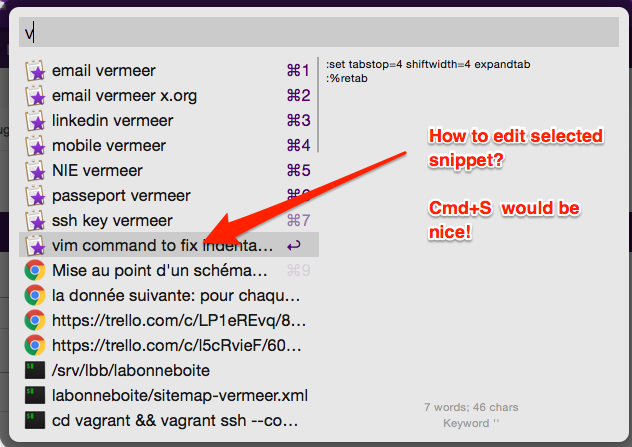 Basically hitting Cmd+S would mean: "create a new snippet or open it for editing if it already exists". That would feel very intuitive! this window would popup to make you able to quickly update the existing snippet. This is now in the b901 pre-release. I've been meaning to add this for quite some time! Thank you for adding things.